Third Path is a non-profit organization dedicated to helping people to find better work-life balance. They needed a brochure for their O.M.G. (Overwhelm Mitigation Group). 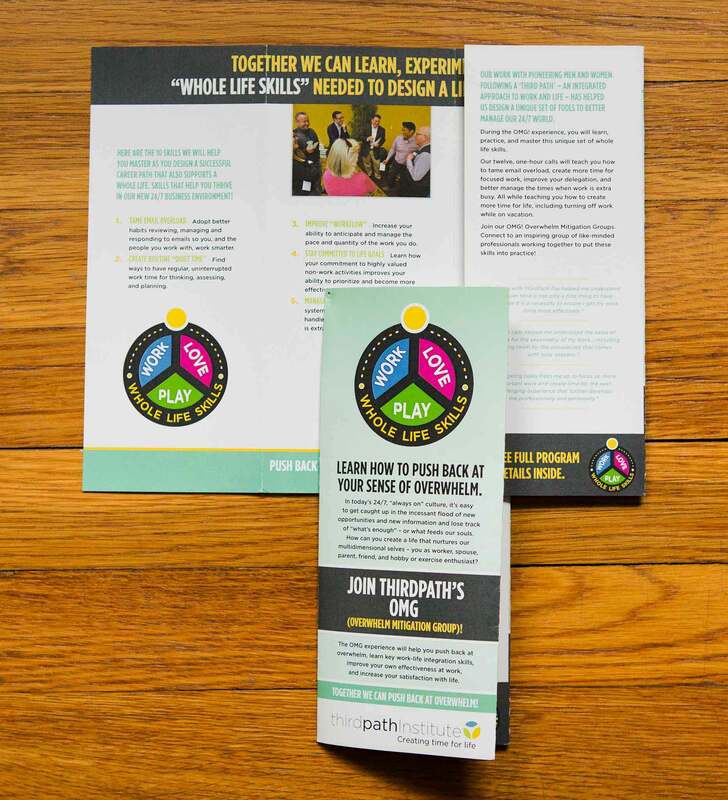 Sarah Shaak Creative outlined a content strategy for the brochure and helped them to focus their content. Custom graphics in bright colors help to draw attention to the piece.